Jordan Spizike is arguably the most beloved hybrid kick from Jordan Brand. This January 2013, a new edition will be released and it is expected to make waves once again. 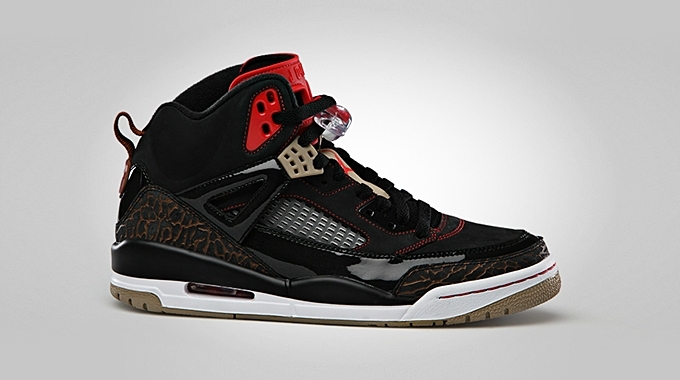 The Jordan Spizike will come out in Black/Challenge Red colorway. The new edition features a black suede and patent leather on the upper part accented with challenge red hints on the lining and tongue of the kick plus a tan outsole for an excellent finishing touch. Watch out for this one and make sure to get your own pair immediately because this stunning kick could just be available on a limited basis.